Hello all, and welcome to this edition of Channel Chaser! Now I don’t know about all of you, but when a new TV series is announced, I instantly make it my business to find out everything I can about it before it actually comes on. Maybe this is spoiling things a little for myself, but it’s just sort of compulsive. I can’t stand being kept in suspense! As fans of the show will know, last season’s finale ended with the departure of Matt Smith’s Eleventh Doctor as the last of the title character’s established 13 lives expired. Fortunately, however, due to some timely intervention from the Doctor’s people, the Time Lords (notice the pun there? ), he now has a whole new regeneration cycle to work with and to carry the show on for however long it can continue. The first and most obvious thing that can be garnered from the various teasers is that Capaldi’s Doctor is older, wizened and much more serious in tone than his child-like and enthusiastic predecessor, putting him at stark contrast with the past Doctors in the show’s revived timeline. The one exception to this rule could be Christopher Eccleston; while he was only on the show for one season as the Ninth Doctor, his character was quite a bit darker, lonelier, and more dangerous than David Tennant or Matt Smith. We could be seeing a return to this kind of Doctor from Capaldi’s performance. This obviously throws companion Clara Oswald for a loop, given that she has a semi-serious crush on the Doctor and is shocked by his transformation into a completely different person. She notes that she cannot trust the Doctor anymore and, when asked by the Doctor if he is a “good man,” she honestly replies that she no longer knows. Then there’s the Doctor’s assertion that they will be traveling “into darkness” and trying to right his wrongs. Foreshadowing doesn’t get much stronger than that, folks. Many people are taking this shift in tone, as well as the change in age of the Doctor’s character, as hints that Doctor Who will be returning to its roots for this new series. Indeed, show-runners have said that Capaldi’s storyline will not be as contingent on his past lives as recent Doctors have been. Coupled with the fact that, just like the First Doctor all those years ago, the Twelfth Doctor apparently has no idea how to fly the TARDIS, we can probably expect some old things to be made new again in various inventive ways. Speaking of old things, both the Daleks and the Cybermen–long-time franchise villains–can be spotted in the teasers, so it’s a safe bet that we’ll be seeing more of them, especially considering the opening narration of the trailer is voiced by what sounds like a Dalek. If you look at a few other small teaser videos, one also features a cold, tinny, metallic voice claiming to know the Doctor’s heart and the hatred he keeps inside. Viewers have speculated that this could herald the return of another series bad guy, Davros–the mad inventor who created the Daleks. Given that Davros was heavily implied to have died during the Tenth Doctor’s “Stolen Earth/Journey’s End” storyline, I don’t know how this is possible time-wise, but it sounds about as reasonable as anything else I’ve seen on this show. I’d say there’s a good chance of another Davros confrontation, but hopefully it won’t be quite as disappointing this time around. Another more unsubstantiated claim is the rumor among fans that the Doctor’s Time Lord arch-nemesis, the Master, may return in this season. This would be the third appearance of the Master in the revived Doctor Who, and the big question is who would be portraying the villain. Some hearsay places Charles Dance, Game of Thrones’s Tywin Lannister, in talks for the role, but others say that John Simm, the previous Master, has agreed to once again return to the show in some form. For me, both of these actors would be excellent additions to the cast. Simm has already proven that he can be a fantastic bad guy with his show-stealing performances alongside David Tennant, but a young Master against an old Doctor could be a bit strange. That’s where Charles Dance comes in. Maybe it’s just me, but I could totally see Tywin Lannister traveling the stars and making evil plots to trap the Doctor. The guy has “evil mastermind” written all over him at this point. One even wilder theory I’ve heard, however, is that the identity of the Master could be a bit more shocking–Capaldi himself! Fans of this particular conspiracy theory cite the abrupt change in the show’s tone, the oddly sudden regeneration of the Eleventh Doctor, and the Twelfth Doctor’s more suspicious persona as evidence that the Time Lords sent the Master to impersonate the Doctor, and that the actual new Doctor has yet to be revealed. As much as I think this would be an awesome plot twist for Doctor Who, I’d like to put the kibosh on this theory right now. First of all, it would be a really big stretch to carry a deception of that magnitude through a full season of the show. Honestly, audiences probably wouldn’t like being cheated that way, and we also would have heard something about casting before now that would hint at another Doctor. Also, as Capaldi has already been announced as the Twelfth Doctor, it would mean the producers and writers of the show would have to straight-up lie to their viewers, something I can’t imagine they would really want to do. 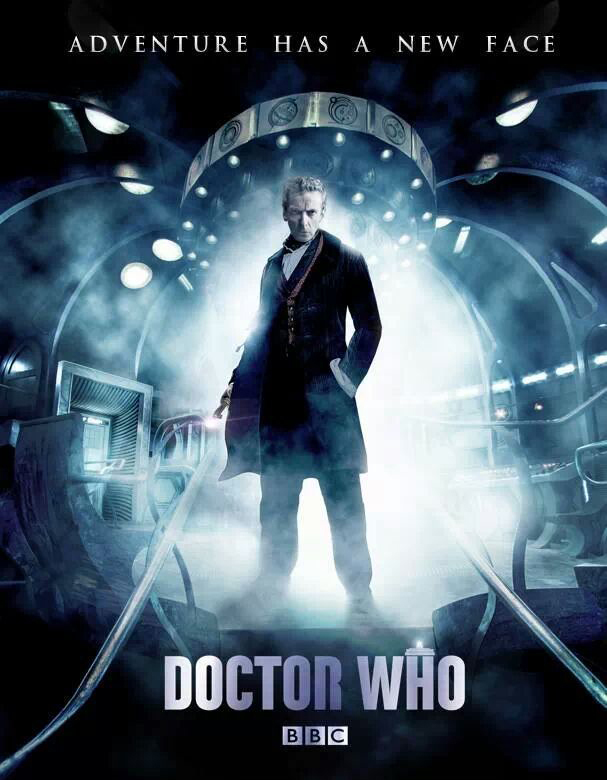 I suppose anything is possible, especially on Doctor Who, but personally I’m not buying this one. What we do know for now is that the first new episode will open in Victorian London and feature recurring characters and detective do-gooding trio Vastra, Jenny, and Strax. It should be interesting seeing characters who have gotten used to Matt Smith’s cheerful and optimistic Doctor meet this newer, darker version of the character, and the Paternoster Gang’s return will also provide some needed grounding for fans. Until then, I personally can’t wait to see Peter Capaldi in action as the Doctor, and I hope I’ve helped you all to feel the same. Catch you next week!